The Team at Plastic Surgery of Texas is committed to helping you look and feel your best. This includes offering a full range of elite skin care products that can be used year round. Not sure what products are best for you? Set up your FREE skin care consultation at either our Dallas or Frisco location. Skin care products can be purchased in-office or by calling 214-905-5075 (Dallas) / 469-294-0691 (Frisco) to order and learn more over the phone. MT Dermaroller is a home use microneedling device for improving the absorption of applied skin care products & triggering new collagen synthesis in skin. Made By RevitaLash. More than simply a way to cleanse hair, this unique thickening and scalp therapy formula features specialized ingredients to optimize scalp health and fortify hair. High protection UVA/UVB sunscreen for lips, water resistant, no chemical fillers. This silicon based gel creates an occlusive barrier to help hydrate scars. The highest quality of silicone with proven effectiveness in prevention and treatment. Post-surgical and post treatment gel. A preventative patch that actively shields damaged tissue to minimize scar formation. Clinically proven to significantly reduce the appearance of scars. Now offering SkinMedica® Products Online! 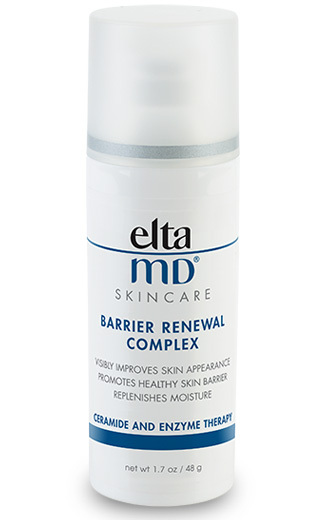 EltaMD Moisturizer absorbs deeply to soothe red, irritated and flaky skin. It relieves symptoms of eczema and atopic dermatitis and may be used post-procedure. It also works well on minor to severe burns, including sunburn. Ideal for heavy makeup removal, EltaMD Facial Cleanser cleanses deeply without over-drying and leaves your skin feeling soft, smooth and clean. EltaMD Facial Cleanser is soap-free, oil-free and does not contain AHAs, glycolic acids and other harsh chemicals that irritate the skin. A rich, nourishing formulation ideal for maturing skin. Tensage® Stem Cell Cream helps combat multiple signs of aging on the face, neck & décolleté. A high level of growth factor that can help promote post-procedural skin repair and healing. Helps to shorten healing time, optimize procedural outcomes and reduce negative procedural side effects - with visible improvement in as little as 24 hours after application. Perfect for all skin types, this elegant, oil-free daily serum can help improve the visible signs of aging. Additional ingredients include niacinamide combined with antioxidants, brightening agents and humectants. Daily serum is a critical component to help maintain the results from aesthetic procedures and Tensage® Intensive Serum therapies. A medium strength peel, ideal for mature skin that has moderate sun-damage, uneven skin tone and texture. Helps even skin tone, improve skin texture and reduces early signs of photodamage. A rich, nourishing formulation ideal for the fragile eye area. 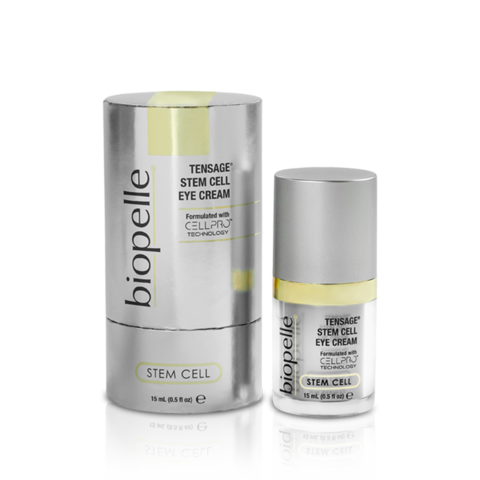 Tensage® Stem Cell Eye Cream helps combat multiple signs of aging around the eyes – like crow’s feet, dark circles and under eye puffiness. Ideal for PM use, this Serum contains three powerful agents – Kojic Acid, Niacinamide and Retinol – which, along with peptides and other skin rejuvenation ingredients, help brighten and even out skin tone. This “ultimate” gel cleanser combines two powerful ingredients, Glycolic Acid + Taurine, for daily skin cleansing, leaving skin fresh, smooth and free of impurities. Ideal for normal-to-oily skin. This highly emollient formulation is ideal for normal-to-dry or mature skin exhibiting advanced signs of aging & skin damage. No SPF. This luxurious night cream moisturizes the skin while helping to repair and protect against glycation damage. Glycation damage comes from sugars within our diet that can attack healthy skin cells causing skin to look sallow and yellowed. 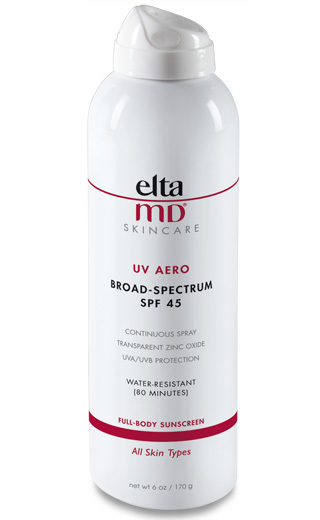 This all-in-one product provides sun protection and helps rejuvenate skin. It also contains reparative anti-oxidants and firming peptides to help revitalize the look and feel of skin while protecting it from sun damage. SPF 50. Gentle micro-exfoliator with botanical extracts. Rids the skin of oils, grime and dead skin cells revealing a brighter more polished appearance. Luxurious cleanser removes make-up and impurities. Leaves skin clean, hydrated and smooth. Contains natural skin-brightening botanicals to help exfoliate and brighten skin. Outsmart the signs of aging® with this award-winning tinted moisturizer SPF 45 that gives all skin types a touch of sheer, healthy color. Formulated with a blend of three peptides and broad-spectrum UVA and UVB protection to reduce appearance of fine lines and wrinkles, minimize appearance of pores and provide sun protection. This refreshing cleanser with Papaya Fruit Extract leaves skin smooth by lifting away impurities. The Papaya Fruit Extract contains Papain, an enzyme that gently exfoliates for naturally vibrant skin. Ideal for all skin types. Purifies and soothes skin with unique properties of Silt derived from European freshwater lakes. Contains high quality of clays to unclog pores and absorb excess oils to leave skin polished and refined. D·E·J face cream™ approaches aging skin in a comprehensive new way. The product contains a proprietary ceramide blend, specialized herbal extracts and a unique peptide combination for proven results. D·E·J eye cream™ provides intense moisture for smoother skin texture. Advanced extracts, peptides and potent antioxidants work cohesively to create clinically proven results.